A national conference will be held in Libya in the first weeks of 2019 to push for elections that could take place next year, the UN envoy told the Security Council on Thursday. 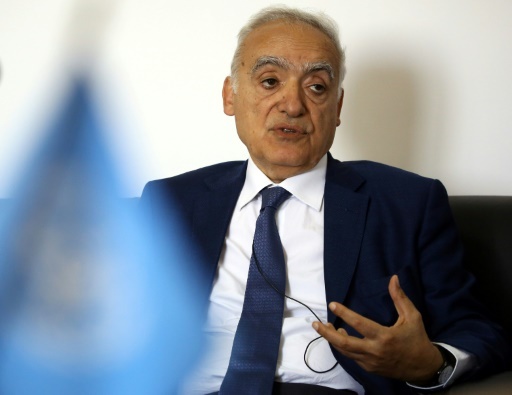 UN envoy Ghassan Salame said the conference will provide "a platform" for Libyans to spell out their vision for the future and "no longer be ignored" by those in power in the divided country. Elections in Libya are meant to turn the page on years of chaos following the 2011 overthrow of Moamer Kadhafi that has seen a bitter rivalry emerge between two governments scrambling for control of the north African country's oil wealth. A French-backed plan to hold elections on December 10 fell apart in September when the United States, Russia and other powers at the Security Council refused to back the timetable. Speaking to the council by videoconference from Tripoli, Salame said the national conference, which has been under discussion since last year, had been delayed because of ongoing fighting and political divisions. "Now, conditions are more propitious," he said. "The national conference is to be held in the first weeks of 2019. The subsequent electoral process should commence in the spring of 2019." The envoy quoted a poll showing that 80 percent of Libyans insist on having elections and stressed that international support for the conference was crucial. The decision to move ahead with the national conference came ahead of Italian-hosted talks in Sicily next week intended to shore up efforts to bring stability to Libya. World powers and Arab countries have backed rival groups in the battle for influence in Libya, hindering progress toward a common approach. In an interview with AFP, the head of Libya's UN-backed government, Fayez al-Sarraj, appealed for a "common vision" and an end to "negative interventions by some countries." Libya produces 1.3 million barrels of oil per day, generating $13 billion in revenue in just the first half of this year for the country of 6.5 million people. But Salame said Libyans have been increasingly impoverished while billions are being stolen from national coffers.